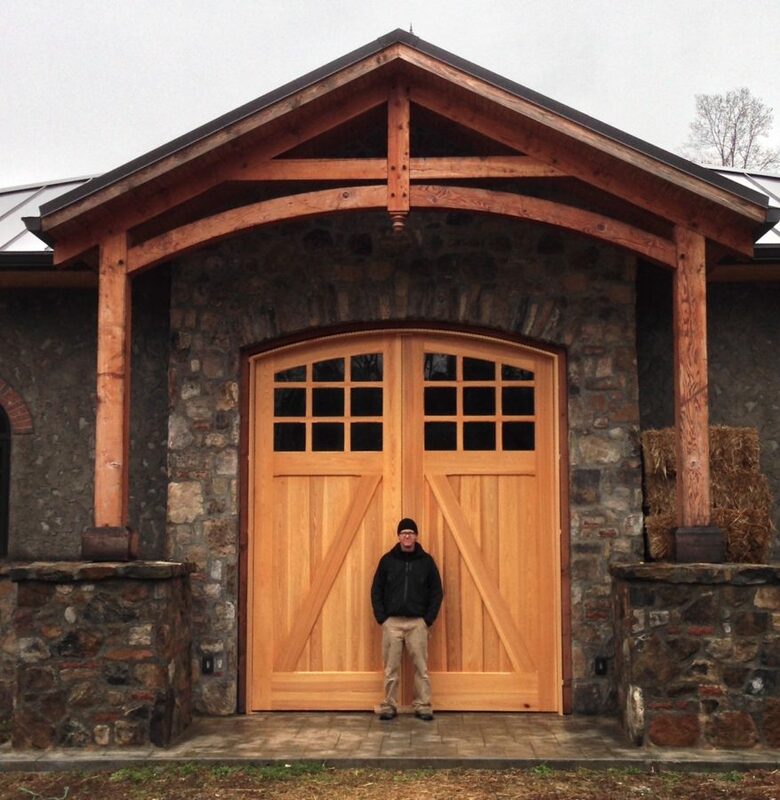 This shows just how big these doors are. 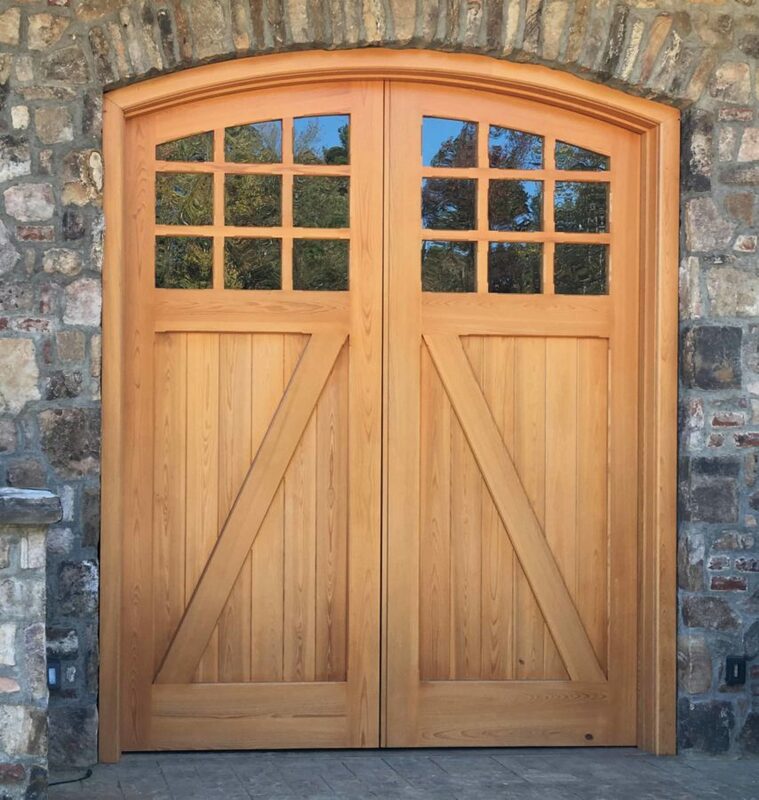 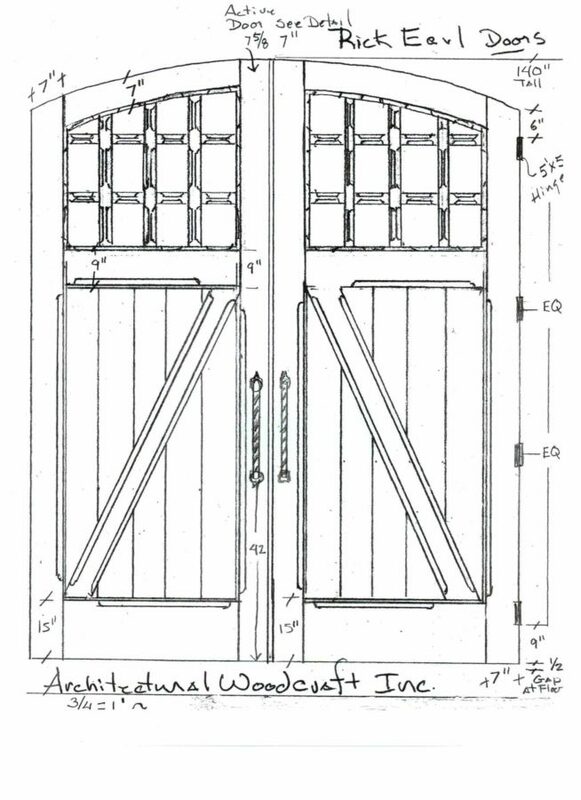 We were hired by a couple to make two sets of stable doors for their new Arts and Crafts style barn. 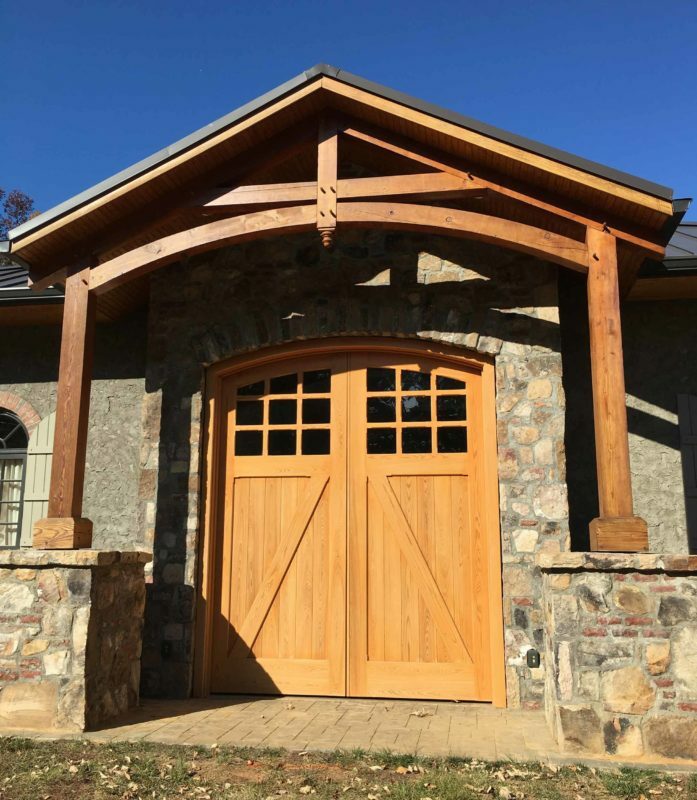 This was a special project, and we designed natural, 12-foot arched doors, reinforced with traditional mirrored z-battens. 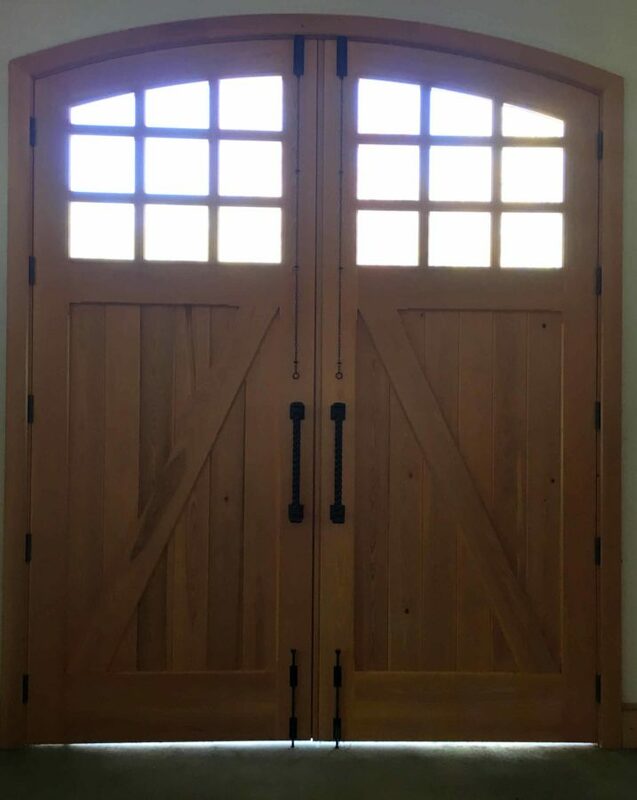 These were finished with a clear stain and traditional, blacksmith-style iron hardware. 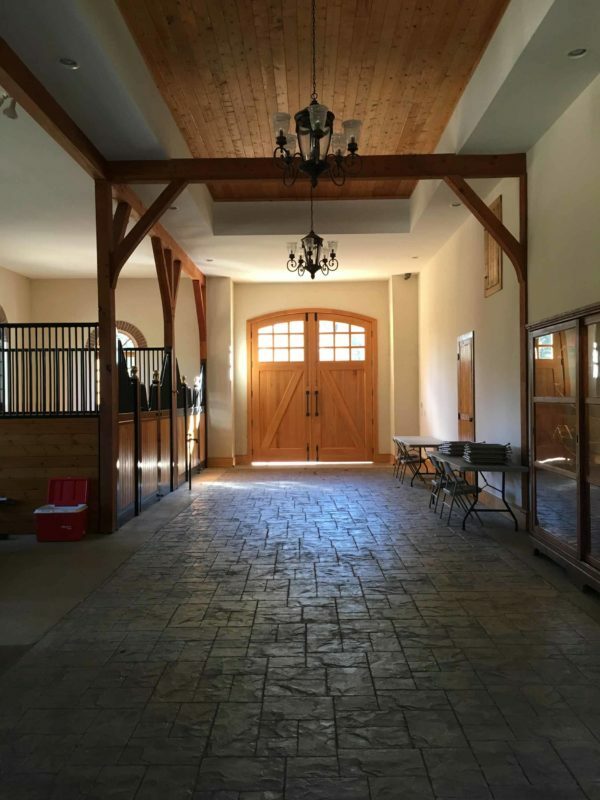 We also created a small kitchen area in this stable, which isn’t shown in the photos. 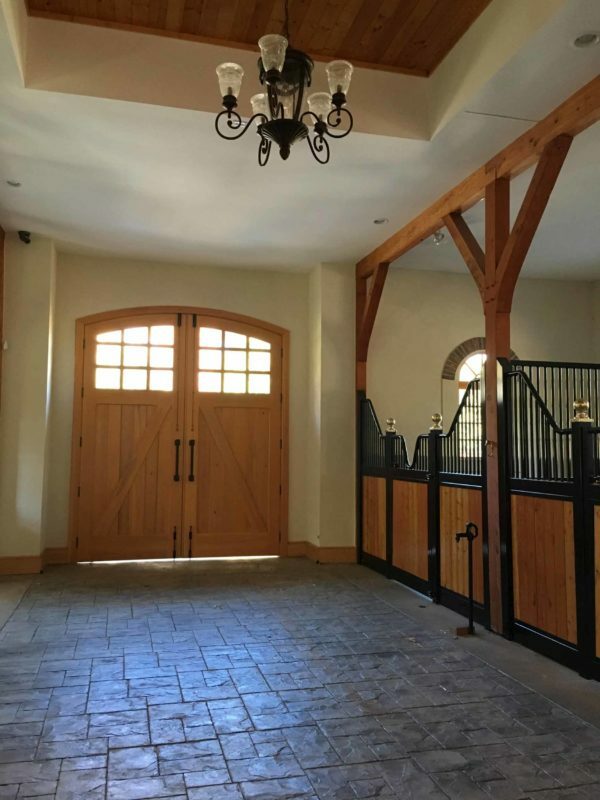 It’s quite a beautiful building, and the owners and horses were very pleased with the results.